On the 50th anniversary of its release, Samira Ahmed looks back at John Schlesinger's film Billy Liar, the story of a young working class boy dreaming of a different life. Samira Ahmed will be marking 50 years since John Schlesinger's film 'Billy Liar' was first released. One of the stars of the film, Helen Fraser and the film historian Melanie Williams join Samira to discuss its role in British cinema. Is society today geared too much in favour of the extrovert? When it comes to success and leadership, are those who are sociable and outgoing being given an unfair advantage? Samira is joined in discussion by Susan Cain, the author of a new book arguing that the power of the introvert is undervalued, by Julia Hobsbawm, the business woman who has been dubbed the "Queen of Networking", and by the cultural historian Henry Hitchings. The collapse of Western colonial empires after World War Two led to countless vicious power struggles. The historian Michael Burleigh's new book, 'Small Wars, Far Away Places' argues that the consequences of distant wars and the death of colonialism are still with us. And the art critic Sarah Kent will be in the studio to talk about the American artist Ellen Gallagher whose new exhibition, AxMe, opened at Tate Modern in London today. Sarah Kent joins Samira to talk about the artist Ellen Gallagher's new exhibition, AxMe. Helen Fraser and the film historian Melanie Williams discuss the film 'Billy Liar'. Susan Cain, Julia Hobsbawm and Henry Hitchings discuss whether society favours extroverts. Michael Burleigh talks about whether the consequences of distant wars are still with us. Ellen Gallagher: AxME is on at The Tate Modern, London from Wednesday 1 May until Sunday 1 September 2013. 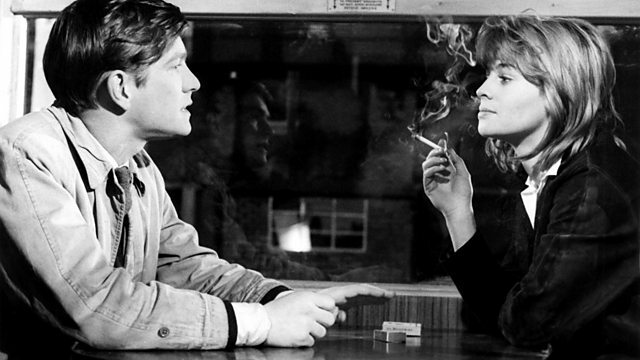 Billy Liar the 50th Anniversary edition is available on Blu-ray and DVD from Monday 6 May 2013. Small Wars, Far Away Places: The Genesis of the Modern World written by Michael Burleigh is published by Macmillan. Quiet: The power of introverts in a world that can't stop talking written by Susan Cain is published by Penguin.